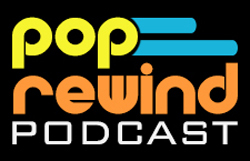 Pop Rewind — Updated Again! Crystal Pepsi (kinda, sorta) Gloriously Returns! Updated Again! Crystal Pepsi (kinda, sorta) Gloriously Returns! Good luck! If you don’t win any, no worries– we’re going to see an online worldwide release and a U.S. in-stores release of Crystal Pepsi this summer! The L.A. Beast on YouTube is giving away a couple bottles of Crystal Pepsi, so there’s another small chance for you to win. The above video shows him getting a special Crystal Pepsi delivery from Pepsi. Note that the new bottles given to L.A. Beast say “Clear Cola” so we can assume we’re getting the original Crystal Pepsi and not the weird citrus version. Crystal Pepsi originally marketed itself as having no caffeine, but the new version has caffeine listed in the ingredients. L.A. Beast reports that there will be a worldwide release online at some point in the near future, as well as in store in the U.S. by summer 2016. Looks like we just need to be patient! It’s not all it’s cracked up to be, however. Your chances of tasting sweet nostalgia again are limited to your luck-ability in winning some sweepstakes. Of course, ordering Pepsi Perfect was kind of like winning a sweepstakes, too, this time Pepsi is at least branding it as such. Maybe fans will be a little less angry with their truth in advertising this time around? Alright, enough lollygagging, how do we try to get our hands on Crystal Pepsi? You can win one of 13,000 6-packs (13,000 bottles was the magic number of Pepsi Pefects that were made available, if you’re into numbers) from December 10, 12:00 p.m. (ET) until December 11, 11:59 p.m. (ET). Download the Pepsi Pass app (you can also enter online). The downside is that you need Pepsi Pass Points to enter the sweepstakes, which you can by get hanging out with friends who also have Pepsi Pass, referring friends, or by visiting Pepsi Pass locations. Pepsi will also give out points on their social channels, too. Wow. Almost glad this isn’t available in Canada so I don’t have to deal with it. At this point, it seems more likely that you’ll get that Harrier Jet after all. Are you going to try getting some Crystal Pepsi? Let us know if you do!